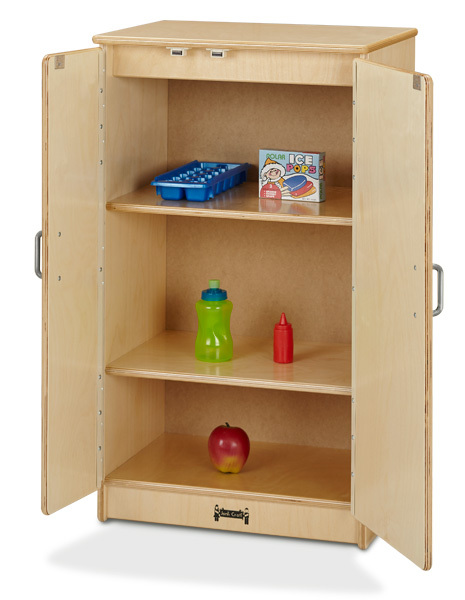 Add a refrigerator to your dramatic play area and provide children with a place to store their pretend food. 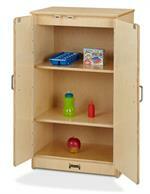 Features two interior shelves for spacious storage. Magnetic catches help keep doors closed while chrome-looking handles provide a high-end aesthetic while the “ice-maker” creates realistic play. 2411JC 4 Piece Set 35" 80" 15" 163 lbs. 2412JC 3 Piece Set (Sink, Stove, Refrigerator) 35" 60" 15" 123 lbs. 2410JC Refrigerator 35" 20" 15" 50 lbs. 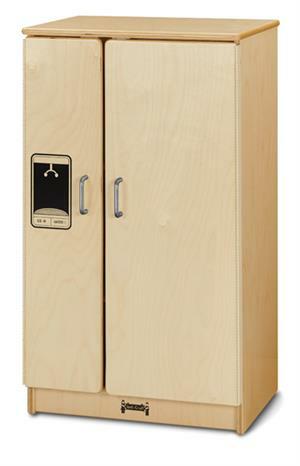 2407JC Cupboard 33.5" 20" 15" 40 lbs. 2409JC Stove 27" 20" 15" 37 lbs. 2408JC Sink 27" 20" 15" 36 lbs. 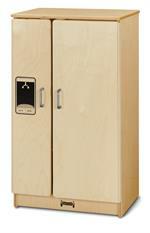 Jonti-Craft is the leading provider of Play Kitchen Refrigerator - 2410JC for the early learning market. 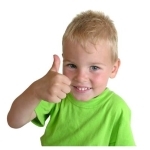 From KYDZSafeedges to our KYDZTufffinish, and KYDZStrong Construction you'll find that all Jonti-Craft products are packed with features that make them safe, functional and affordable. Every single corner and edge are rounded for safety. And, since they are the only early learning furniture manufacturer to use both birch and Rainbow Accents materials, your furniture options are endless. To top it off, Jonti-Craft products are built using the strongest construction techniques available to ensure that your furniture purchase will last a lifetime!